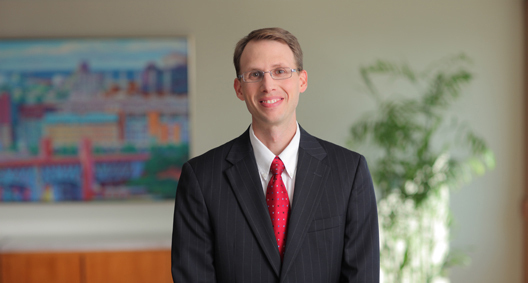 David Kitchen is an experienced trial attorney who focuses his practice on patent and other intellectual property litigation, including serving as second-chair counsel for two patent trials in the Northern District of Ohio. He has experience representing clients before the Federal Circuit Court of Appeals and the International Trade Commission (ITC). He also has experience with general commercial litigation, investigations conducted by the U.S. Department of Justice and significant actions within the firm's engagement as counsel to the Securities Investor Protection Act (SIPA) Trustee for the liquidation of Bernard L. Madoff Investment Securities LLC (BLMIS). As a trial attorney with an engineering background, David provides in-depth and trustworthy advice to clients faced with challenging scientific issues. He is often called upon to lead in discovery and motion practice, the gathering and preservation of electronically stored information, and all other aspects of litigation. Represented Irving H. Picard, the court-appointed SIPA Trustee, in liquidation proceedings of BLMIS. Has played a central role in the Trustee's action to recover more than $500 million in fraudulent transfers from a group of feeder fund defendants in Picard v. Merkin, et al. Represented a child care product group of a Fortune 50 company as complainant before the ITC against a manufacturer of infringing products in a patent infringement action. Shortly before trial, obtained favorable settlement of all claims. In re: Certain Strollers And Playards, Inv. No. 337-TA-762 (ITC 2012). Defended a Fortune 50 manufacturer against claims of trade secret theft and RICO violations. All key claims were dismissed on summary judgment. Thermodyn Corp. v. 3M Co., 593 F. Supp. 2d 972 (N.D. Ohio 2008). Obtained judgment following a jury trial in favor of a client, the plaintiff, in a patent infringement action relating to a materials shipment method patent. The two-week trial resulted in judgment for the client of infringement, patent validity and willful misconduct by the defendant companies. Successfully defended the judgment twice on appeal. MPT, Inc. v. Marathon Labels, Inc., 505 F. Supp. 2d 401, 423 (N.D. Ohio 2007); MPT, Inc. v. Marathon Labels, Inc., 258 Fed. Appx. 318 (Fed. Cir. 2007). Involved in e-discovery issues for a national bank seeking to recover losses relating to the bank's auto leasing business. Part of a team that obtained a settlement of $279 million, an outcome that was featured in American Lawyer's "Big Suits" department. Pursued a habeas appeal, including oral argument before the Sixth Circuit Court of Appeals, on behalf of an individual seeking to vacate his sentence.